Have no idea why Docker showing this (un-friendly) error message. In fact, it caused by the bash script file created in Windows having different line ending and cannot run properly in Linux container. Here is the fix using Notepad++. First show the linefeed symbol. 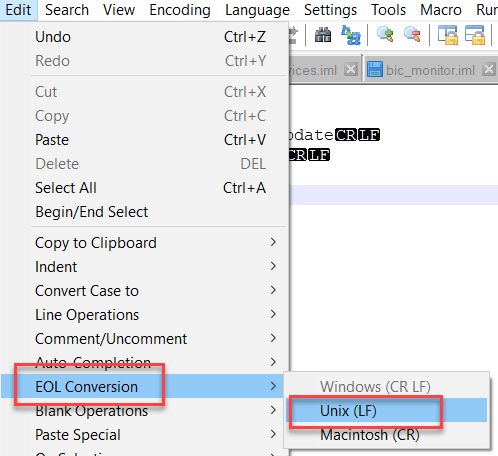 Convert the linefeed from Windows to Unix.